It’s not uncommon for a Bethel Success student to juggle multiple roles as employee, parent, and student. It is, however, unusual for a Bethel student to do all of those things – and run for a seat as a State Representative on top of everything else. Meet Trisha Farmer of Mt. Juliet: wife, mother, business-owner, volunteer birthing advocate, Bethel Success student, and now, hard-working candidate for the office of State House District 57. “It wasn’t something I had planned on,” Trisha admits. 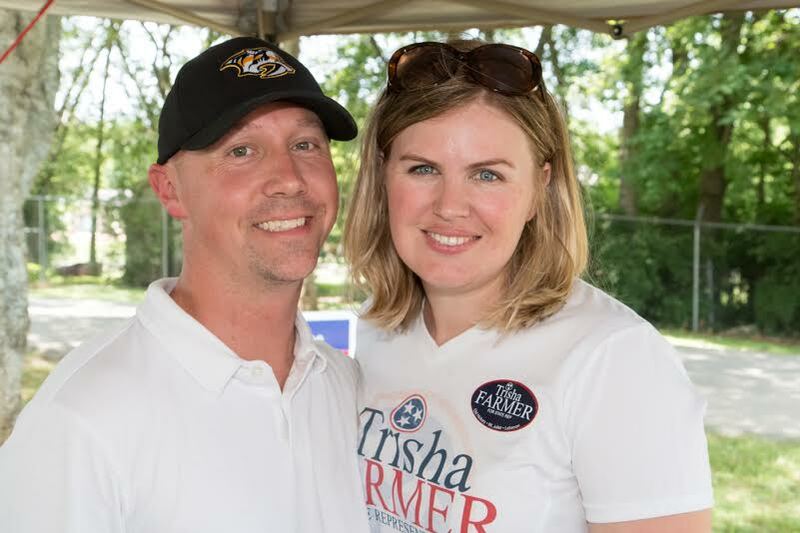 “Our lives are far too complicated and busy to think about politics.” But when Trisha, who is deeply involved in the non-profit advocacy group Nashville Birth Network, learned there were bills coming up that the group was advocating for, she decided to meet with her State Representative to discuss them. A winning attitude is what led Trisha and husband David to go back to college to complete their bachelor’s degrees. “I wanted to return to a corporate role, and my lack of a degree was holding me back,” she says. “David has worked for local government for over 10 years, and the completion of his degree will provide opportunities for enhanced leadership roles.” The couple needed the assurance and knowledge that comes with a bachelor’s degree. After researching a competing college, and learning about its unreasonable time commitment, the couple knew they had to find a program that worked for their busy lifestyles. In November of 2014, David and Trisha discovered Bethel. Believing “it’s easier for us to suffer together,” the couple has spent long nights doing homework after sons Tyler, 6, and Grayson, 2, are finally put to bed. David, who brought in more credits, lacks only six hours to graduate, and has earned straight A’s so far. As for Trisha, with four months to go until the November 8 election, grades have become a little less important, while the learning she gains has increased exponentially. “I wish I had taken the Systems class a little earlier,” she says with a laugh. 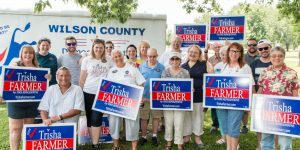 “It would have helped a lot as we began to plan our strategy.” Now, with 47,000 registered voters in the District to reach, and an estimated 20,000 doors in need of knocking, Trisha is firm about the possibilities of having it all. 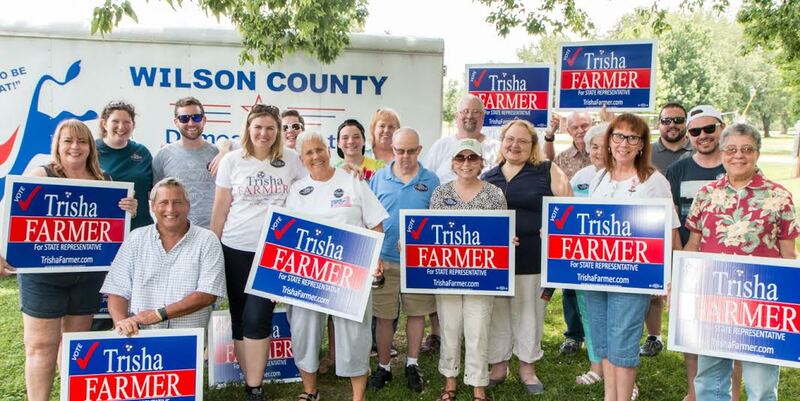 For more information, or to donate to Trisha’s campaign, go to Trishafarmer.com. This entry was posted in Student Spotlights on August 3, 2016 by bethelu.